scan0101 – Anna M Stirr, Ph.D.
Chapter 3: Songs with Consequences? Chitwan Cultural Family, 1982, Gorakhpur. 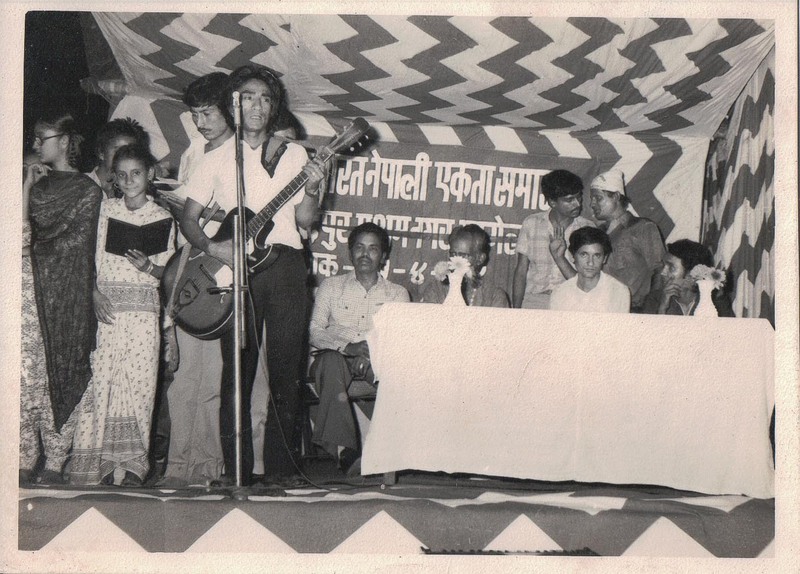 Tara Bhujel, Maya Thakuri, Khusiram Pakhrin. This work, including text, photos, video, and audio, is licensed under a Creative Commons Attribution-NonCommercial-ShareAlike 4.0 International License.